In the modern world, ideology has never before been so much in evidence as a fact and so little understood as a concept. 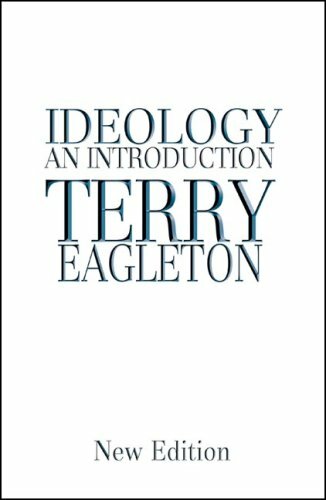 In a book designed both for newcomers to the topic and for those already familiar with the debates, Terry Eagleton unravels the many different meanings of ideology, and charts the history of the concept from the Enlightenment to postmodernism. As well as clarifying a confused topic, this new edition of a now classic work is fully updated in the light of current theoretical debates. Terry Eagleton received a Ph.D from Cambridge University. He is a literary critic and a writer. He has written about 50 books including Shakespeare and Society, Criticism and Ideology, The Ideology of the Aesthetic, Literary Theory, The Illusions of Postmodernism, Why Marx Was Right, The Event of Literature, and Across the Pond: An Englishman's View of America. He wrote a novel entitled Saints and Scholars, several plays including Saint Oscar, and a memoir entitled The Gatekeeper. He is also the chair in English literature in Lancaster University's department of English and creative writing.